Legendary investors such as Jeffrey Talpins and Seth Klarman earn enormous amounts of money for themselves and their investors by doing in-depth research on small-cap stocks that big brokerage houses don’t publish. Small cap stocks -especially when they are screened well- can generate substantial outperformance versus a boring index fund. That’s why we analyze the activity of those elite funds in these small-cap stocks. In the following paragraphs, we analyze Veeva Systems Inc (NYSE:VEEV) from the perspective of those elite funds. Veeva Systems Inc (NYSE:VEEV) shares haven’t seen a lot of action during the third quarter. Overall, hedge fund sentiment was unchanged. The stock was in 31 hedge funds’ portfolios at the end of December. At the end of this article we will also compare VEEV to other stocks including Discovery, Inc. (NASDAQ:DISCA), D.R. Horton, Inc. (NYSE:DHI), and Lennar Corporation (NYSE:LEN) to get a better sense of its popularity. To most investors, hedge funds are seen as unimportant, outdated financial vehicles of the past. While there are more than 8000 funds trading at present, Our researchers choose to focus on the crème de la crème of this group, approximately 750 funds. It is estimated that this group of investors preside over most of all hedge funds’ total asset base, and by observing their matchless equity investments, Insider Monkey has discovered many investment strategies that have historically surpassed Mr. Market. Insider Monkey’s flagship hedge fund strategy outrun the S&P 500 index by nearly 5 percentage points per annum since its inception in May 2014 through early November 2018. We were able to generate large returns even by identifying short candidates. Our portfolio of short stocks lost 27.5% since February 2017 (through March 12th) even though the market was up nearly 25% during the same period. We just shared a list of 6 short targets in our latest quarterly update and they are already down an average of 6% in less than a month. Let’s view the recent hedge fund action regarding Veeva Systems Inc (NYSE:VEEV). 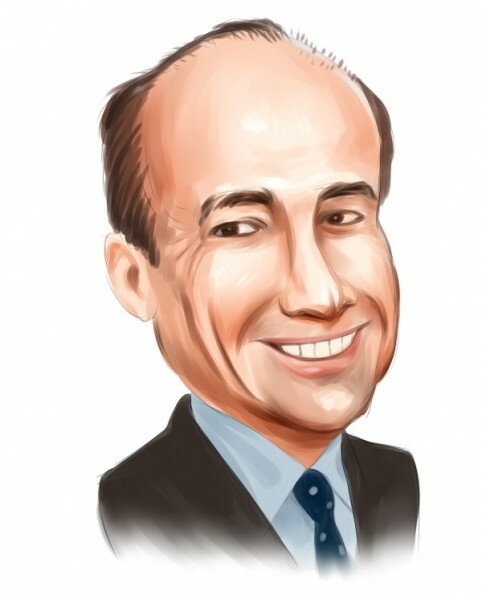 What does the smart money think about Veeva Systems Inc (NYSE:VEEV)? At Q4’s end, a total of 31 of the hedge funds tracked by Insider Monkey were long this stock, a change of 0% from the second quarter of 2018. 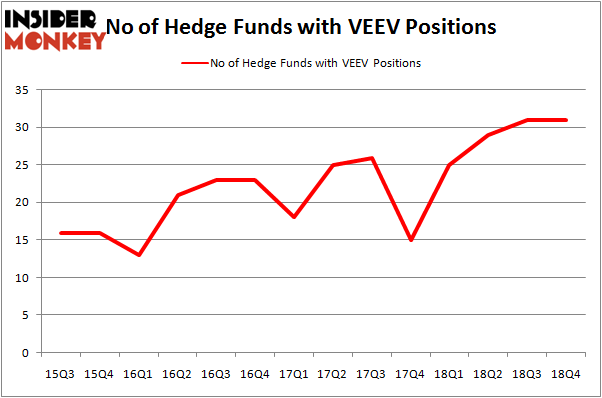 By comparison, 25 hedge funds held shares or bullish call options in VEEV a year ago. So, let’s see which hedge funds were among the top holders of the stock and which hedge funds were making big moves. More specifically, Renaissance Technologies was the largest shareholder of Veeva Systems Inc (NYSE:VEEV), with a stake worth $93.2 million reported as of the end of September. Trailing Renaissance Technologies was Two Sigma Advisors, which amassed a stake valued at $92.6 million. Millennium Management, Matrix Capital Management, and Citadel Investment Group were also very fond of the stock, giving the stock large weights in their portfolios. Seeing as Veeva Systems Inc (NYSE:VEEV) has witnessed a decline in interest from the entirety of the hedge funds we track, logic holds that there were a few funds who were dropping their positions entirely heading into Q3. Intriguingly, James Crichton’s Hitchwood Capital Management sold off the biggest position of the “upper crust” of funds tracked by Insider Monkey, valued at an estimated $29.9 million in stock, and David Costen Haley’s HBK Investments was right behind this move, as the fund said goodbye to about $12.6 million worth. These moves are intriguing to say the least, as total hedge fund interest stayed the same (this is a bearish signal in our experience). Let’s check out hedge fund activity in other stocks similar to Veeva Systems Inc (NYSE:VEEV). These stocks are Discovery, Inc. (NASDAQ:DISCA), D.R. Horton, Inc. (NYSE:DHI), Lennar Corporation (NYSE:LEN), and Annaly Capital Management, Inc. (NYSE:NLY). All of these stocks’ market caps are similar to VEEV’s market cap. As you can see these stocks had an average of 37.25 hedge funds with bullish positions and the average amount invested in these stocks was $989 million. That figure was $520 million in VEEV’s case. Lennar Corporation (NYSE:LEN) is the most popular stock in this table. On the other hand Annaly Capital Management, Inc. (NYSE:NLY) is the least popular one with only 16 bullish hedge fund positions. Veeva Systems Inc (NYSE:VEEV) is not the least popular stock in this group but hedge fund interest is still below average. This is a slightly negative signal and we’d rather spend our time researching stocks that hedge funds are piling on. Our calculations showed that top 15 most popular stocks among hedge funds returned 19.7% through March 15th and outperformed the S&P 500 ETF (SPY) by 6.6 percentage points. A handful of hedge funds were also right about betting on VEEV as the stock returned 37% and outperformed the market as well.